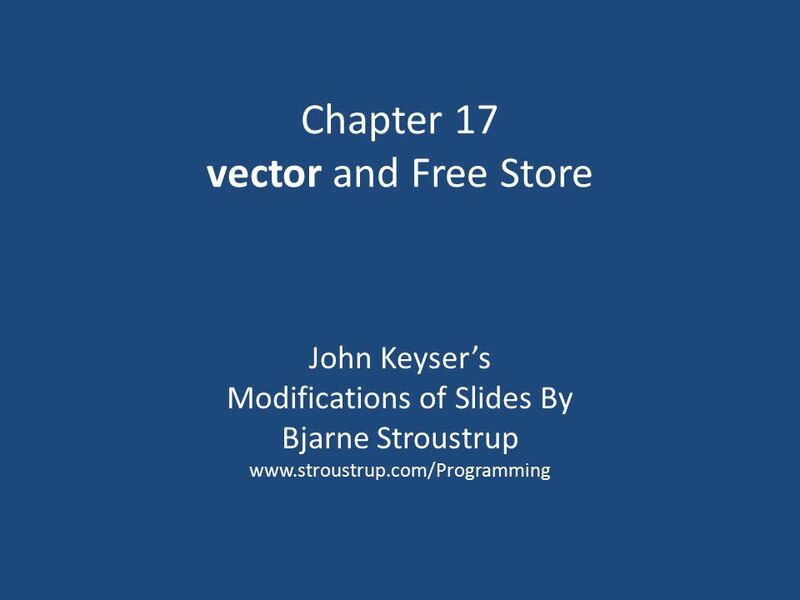 Chapter 17 vector and Free Store John Keyser’s Modifications of Slides By Bjarne Stroustrup www.stroustrup.com/Programming. 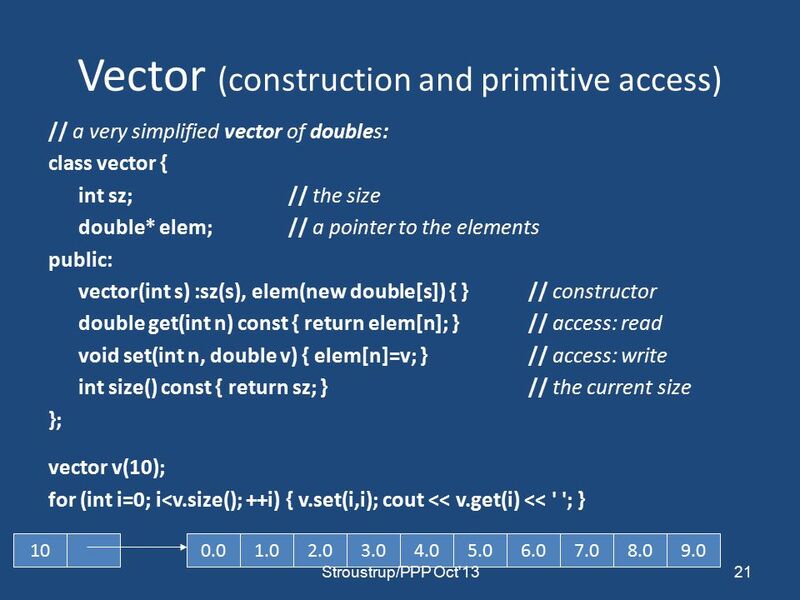 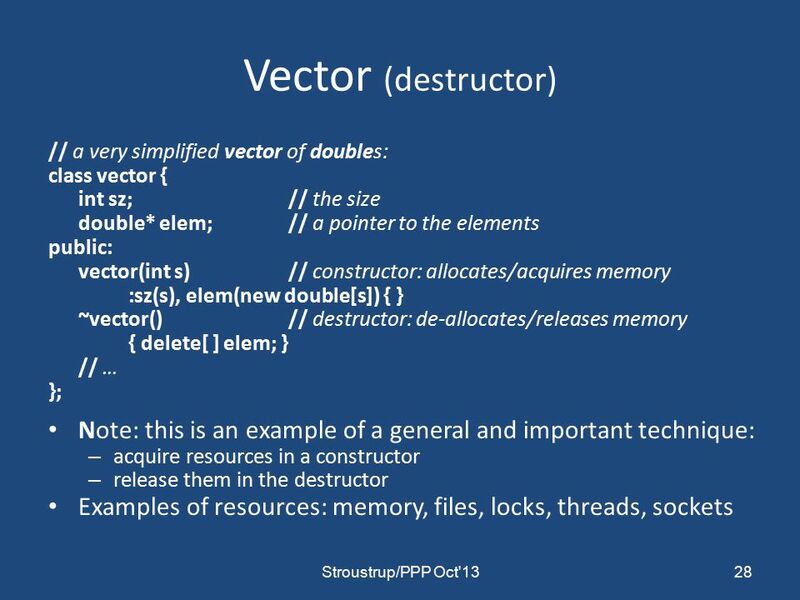 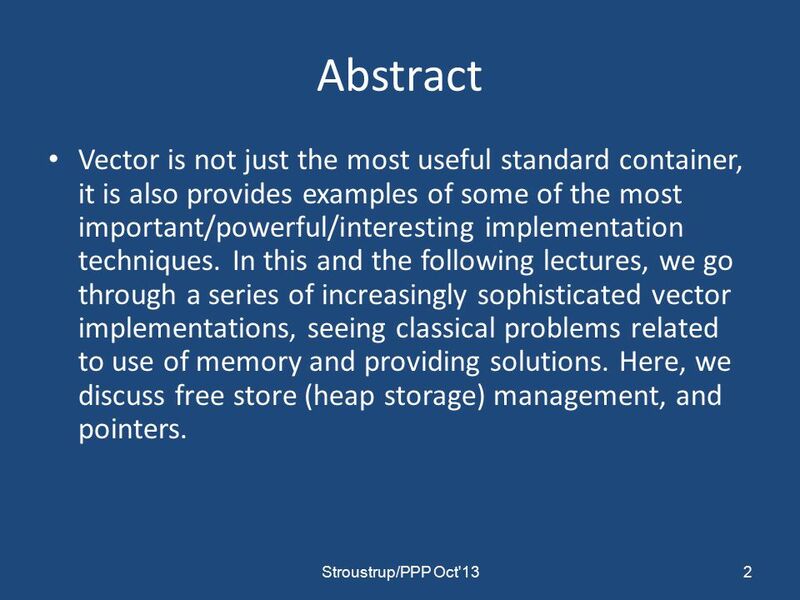 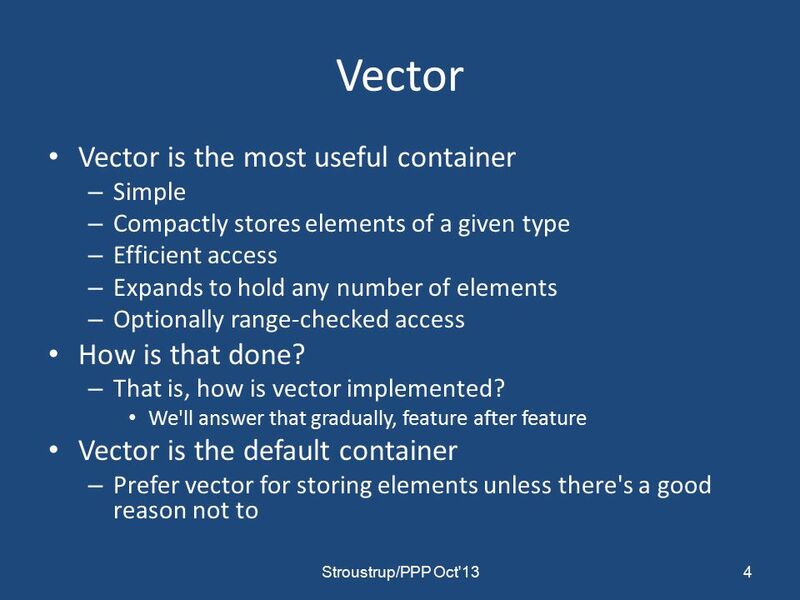 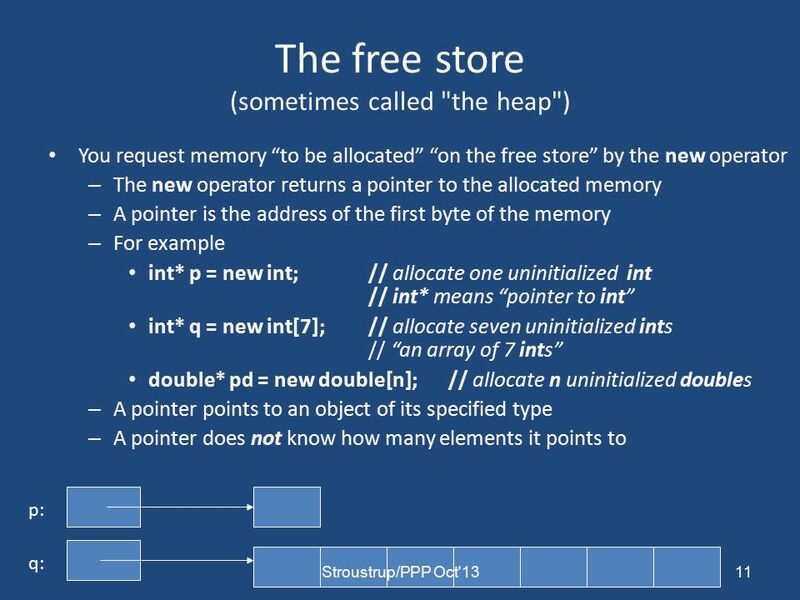 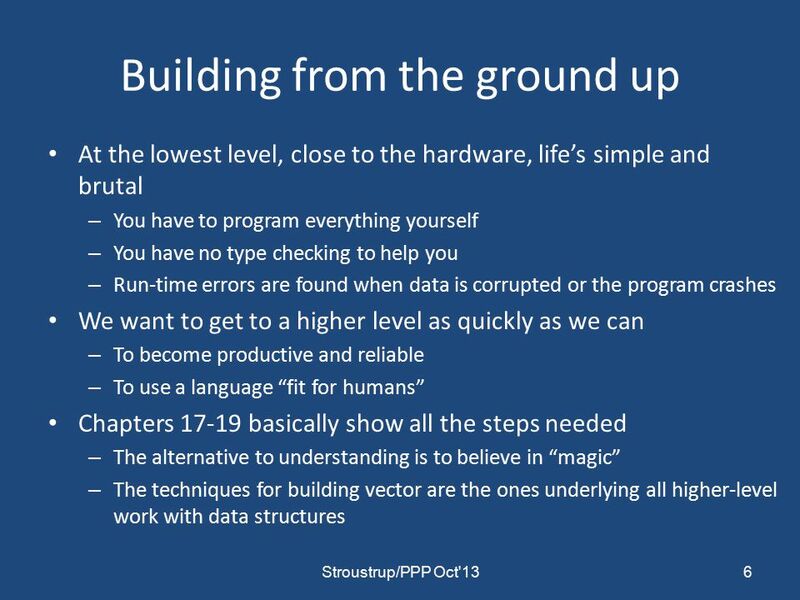 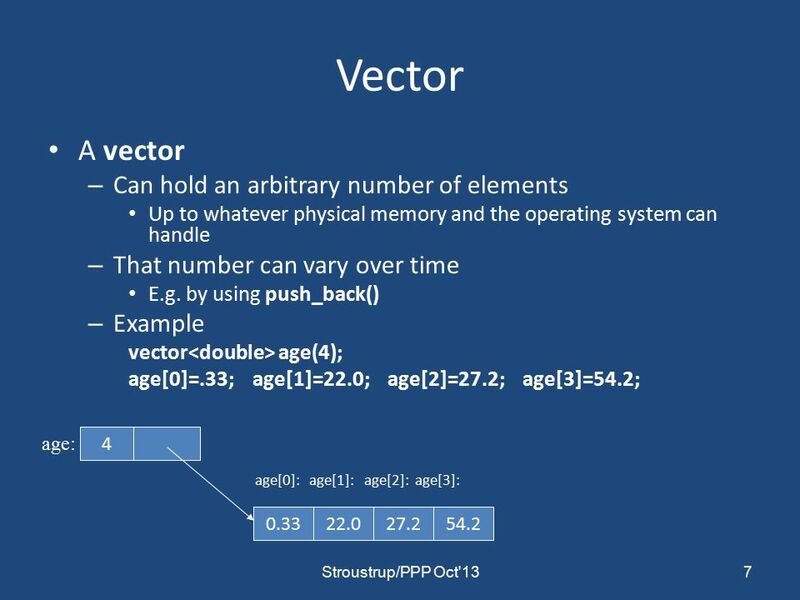 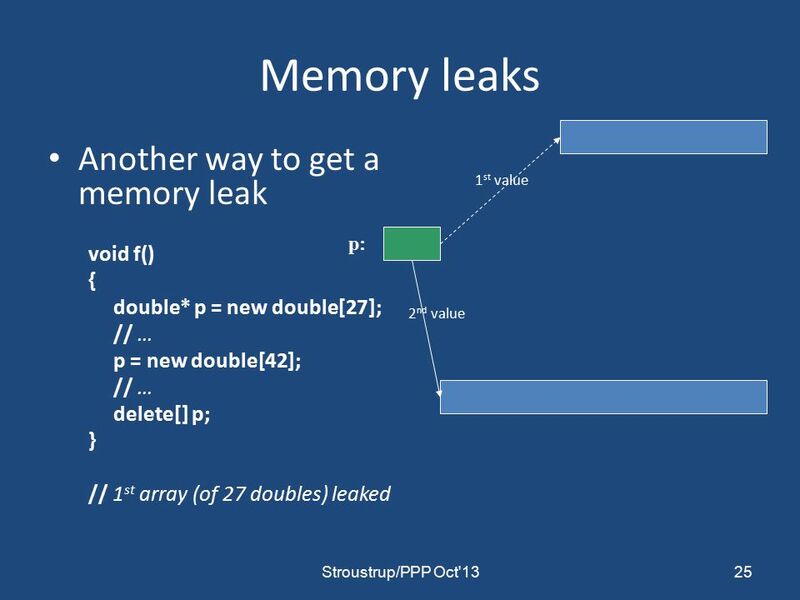 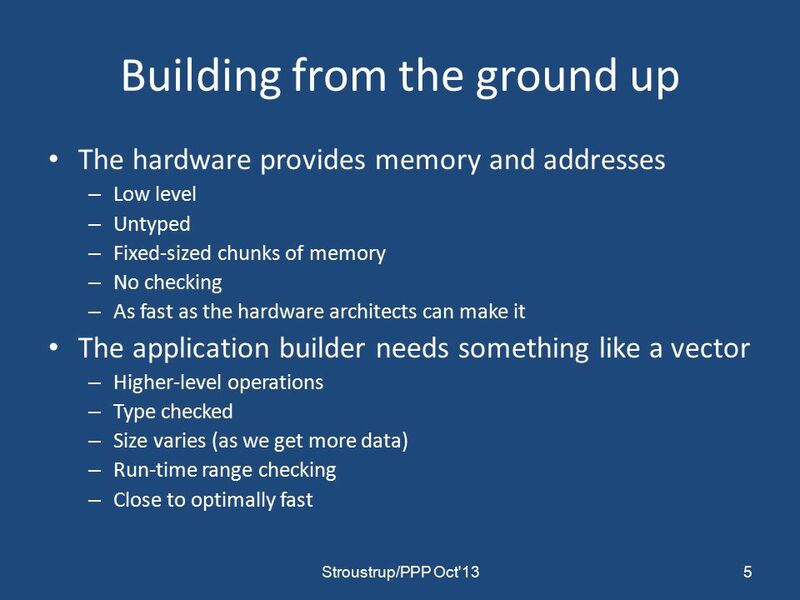 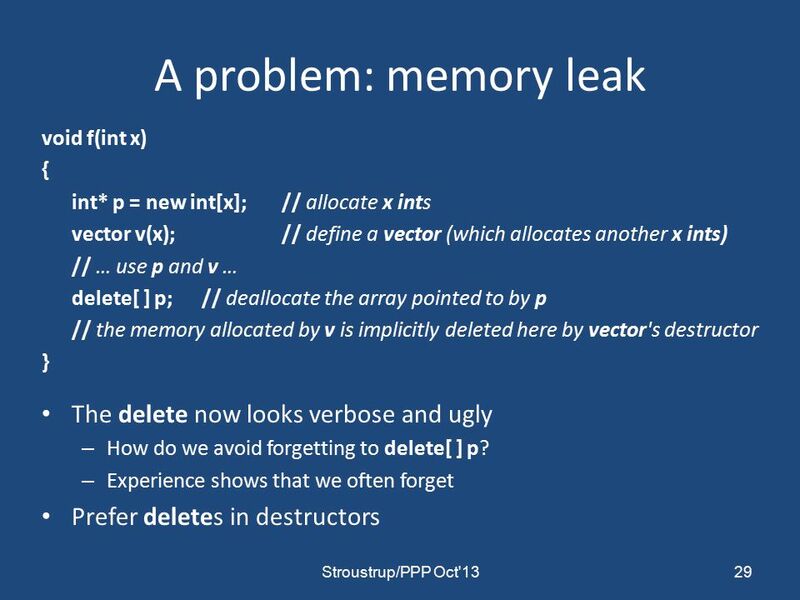 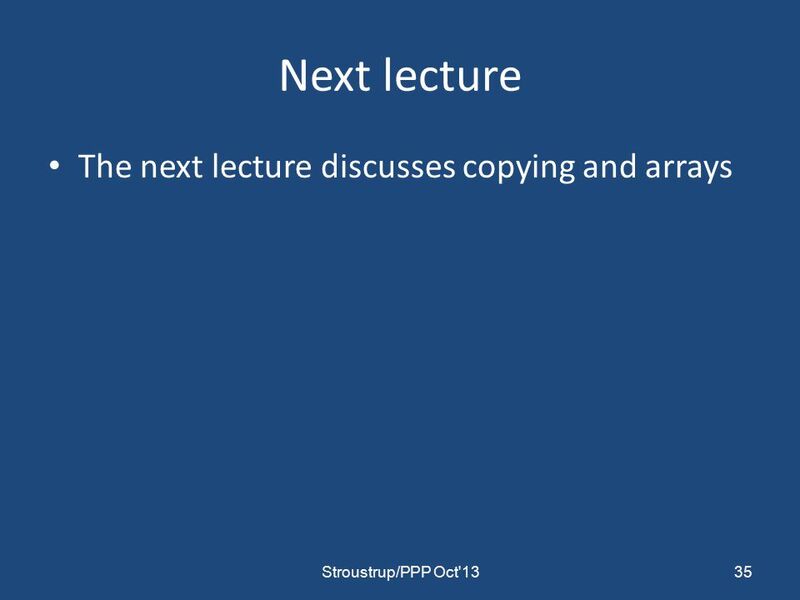 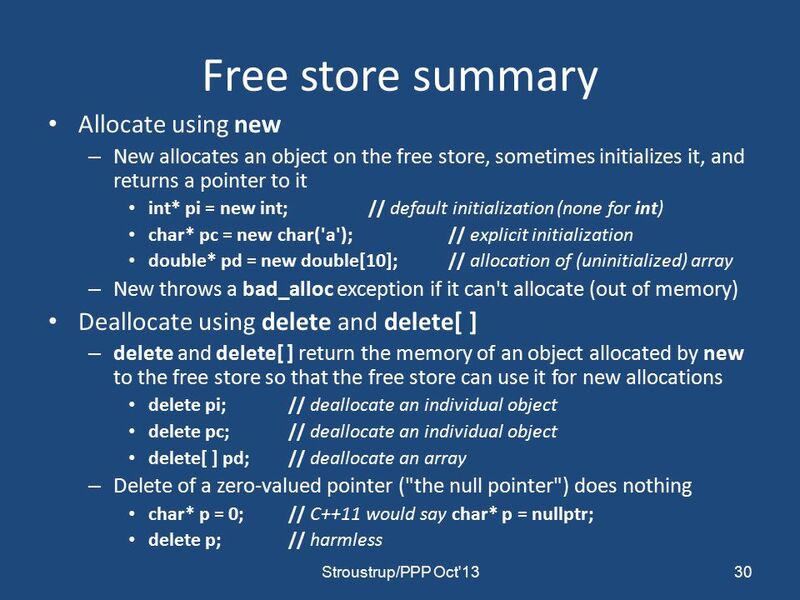 Download ppt "Chapter 17 vector and Free Store John Keyser’s Modifications of Slides By Bjarne Stroustrup www.stroustrup.com/Programming." 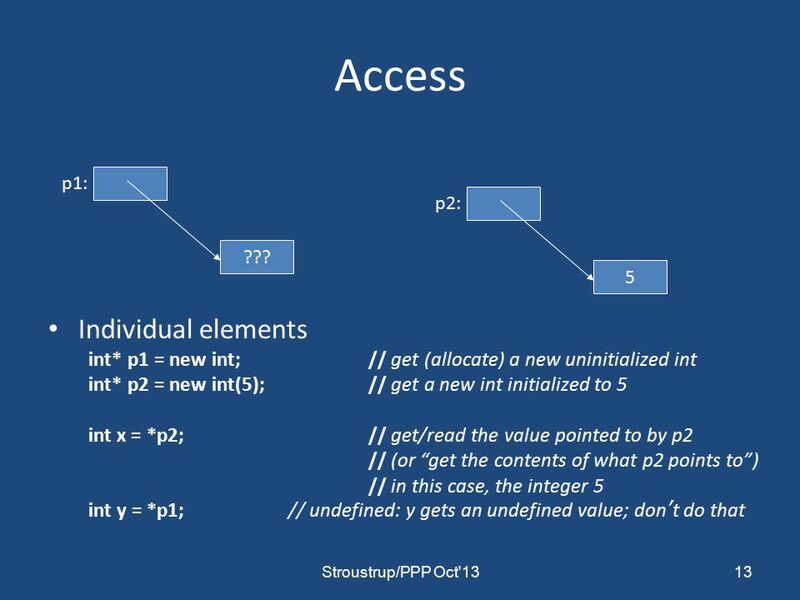 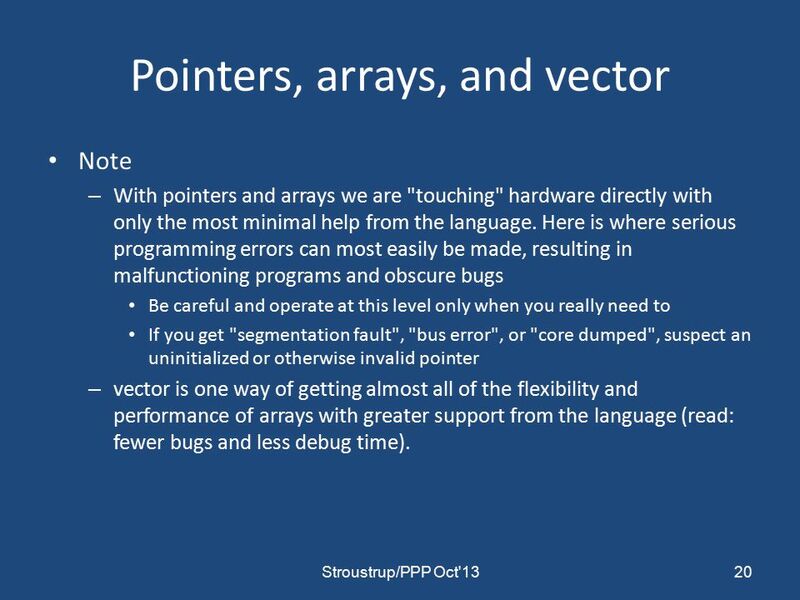 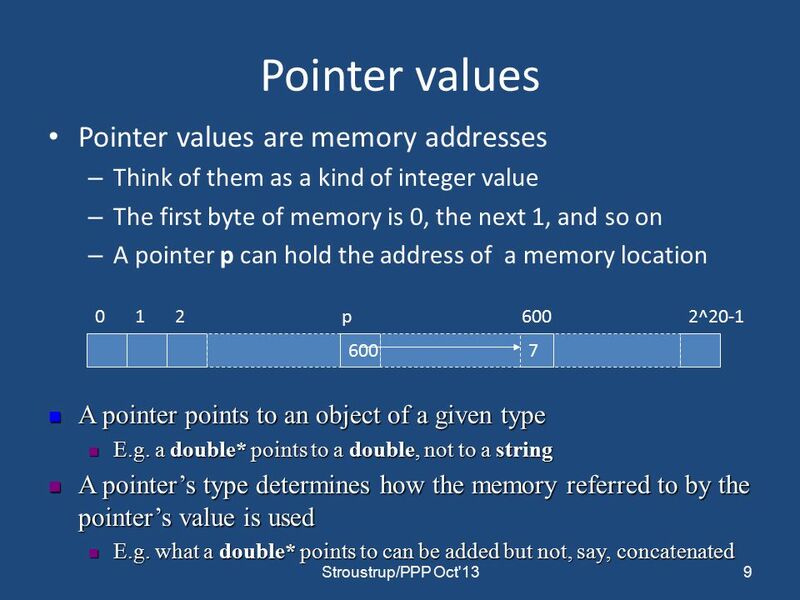 SPL/2010 Pointers and Parameter Passing in C++ 1. 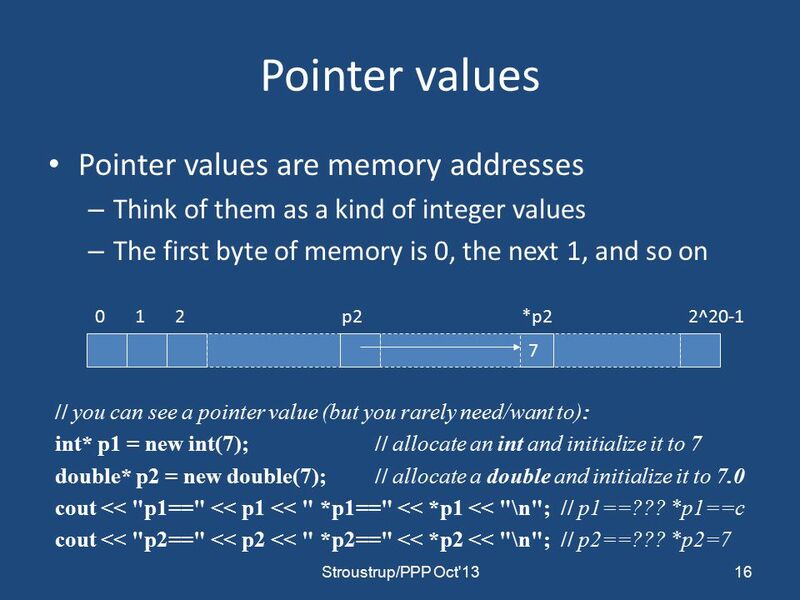 This Time Pointers (declaration and operations) Passing Pointers to Functions Const Pointers Bubble Sort Using Pass-by-Reference Pointer Arithmetic Arrays. 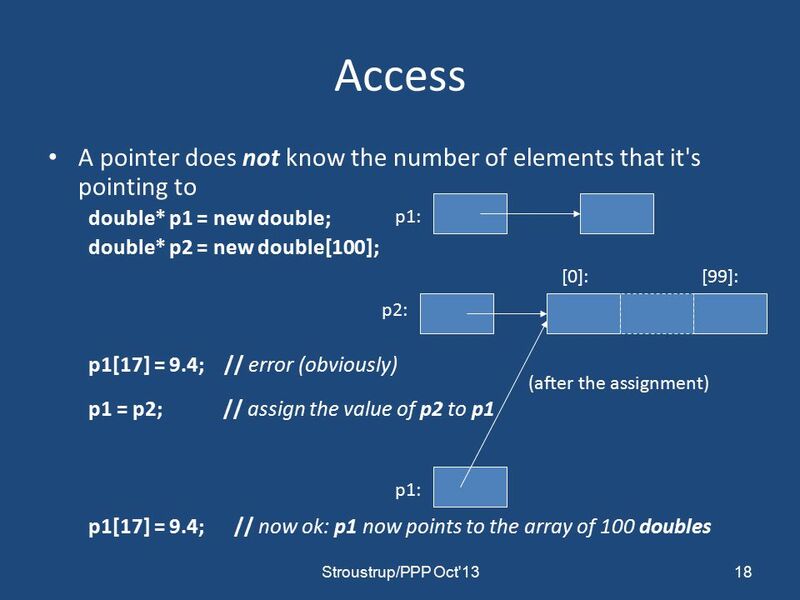 Engineering Problem Solving With C++ An Object Based Approach Chapter 9 Pointers and Creating Data Structures. 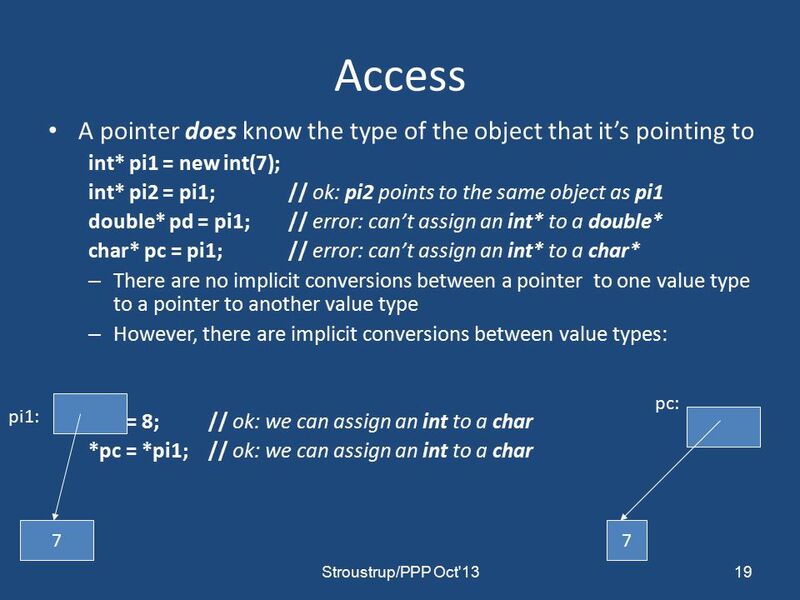 © Copyright 1992–2004 by Deitel & Associates, Inc. and Pearson Education Inc. All Rights Reserved Fundamentals of Strings and Characters Characters. 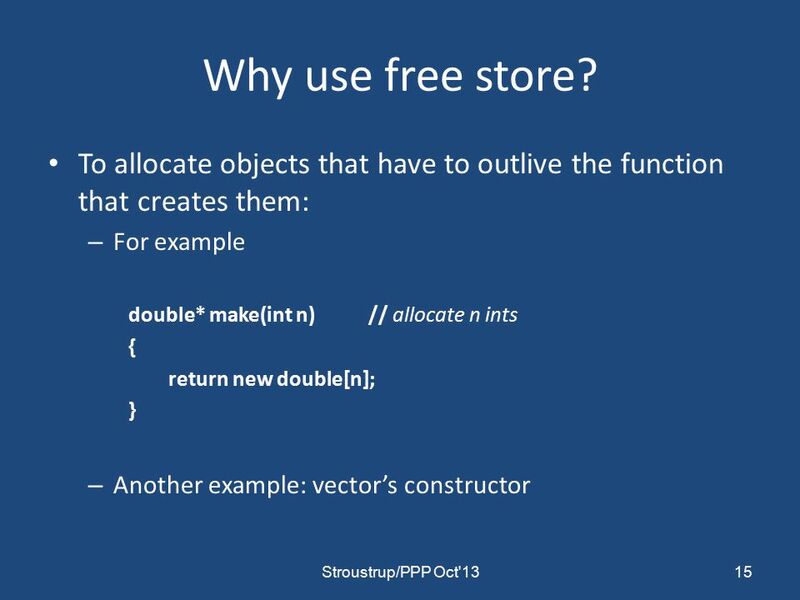 Dynamic Objects. 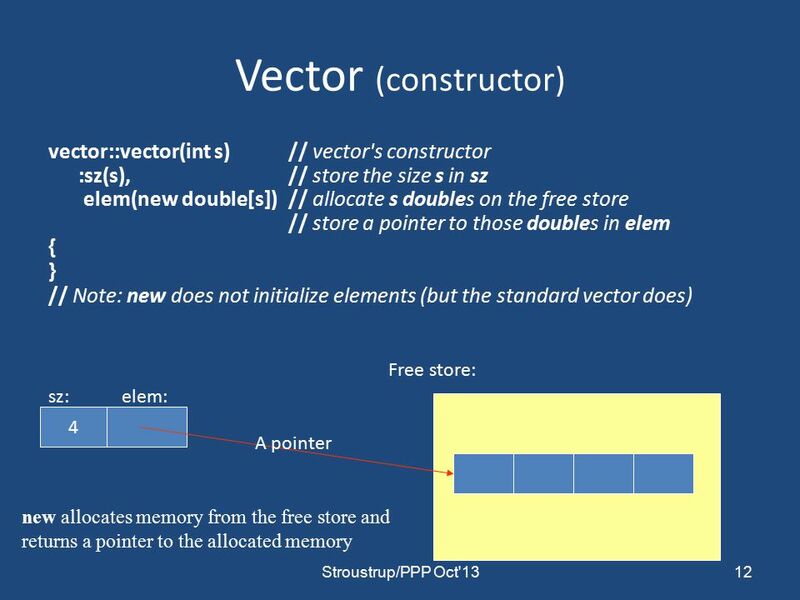 COMP104 Lecture 31 / Slide 2 Static verses Dynamic Objects * Static object n Memory is acquired automatically  int A; n Memory is. 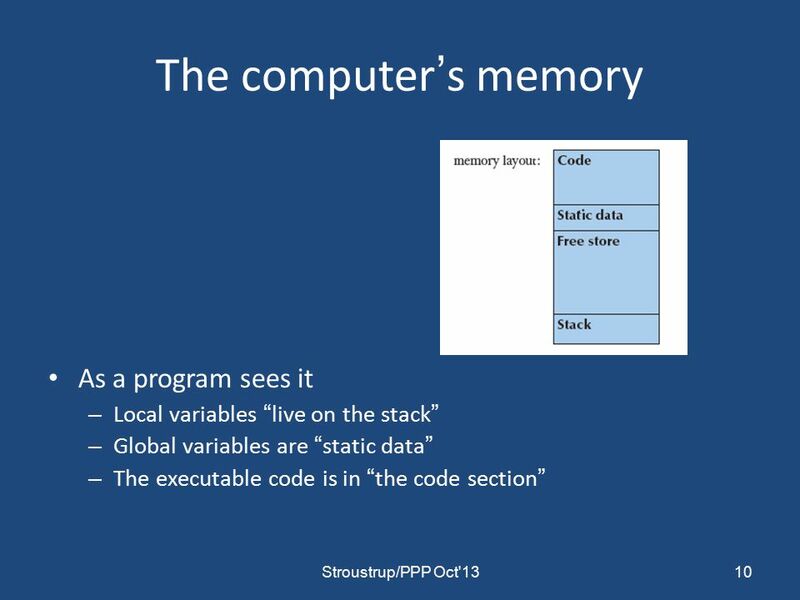 Rossella Lau Lecture 8, DCO10105, Semester B, DCO10105 Object-Oriented Programming and Design  Lecture 8: Polymorphism & C++ pointer  Inheritance. 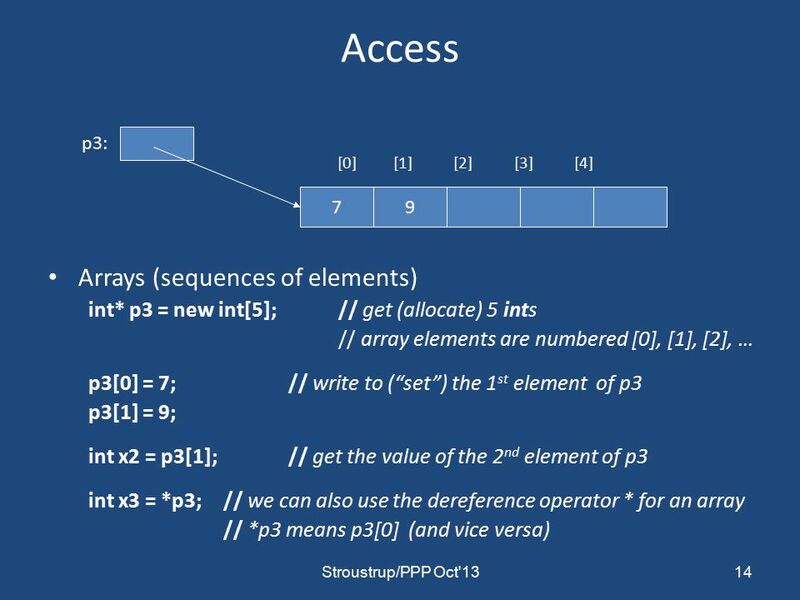 Dynamically Allocated Arrays May 2, Quiz 5 Today. 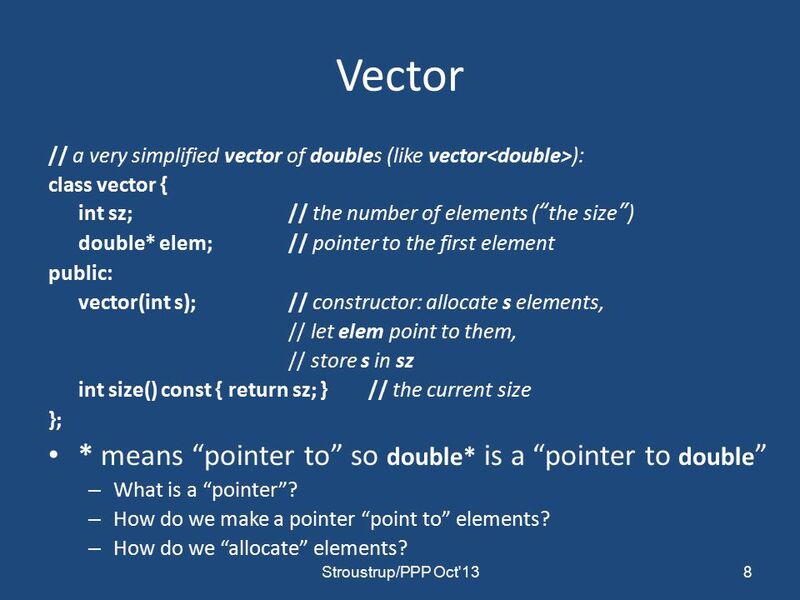 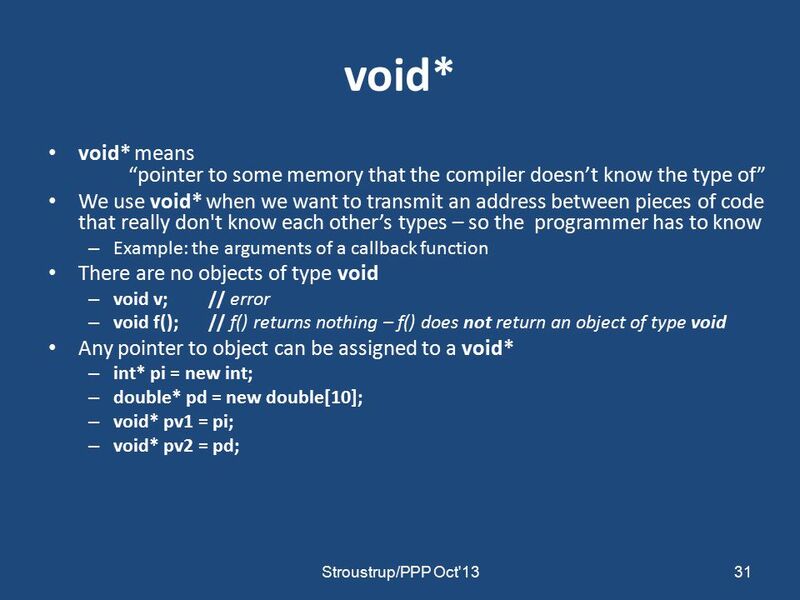 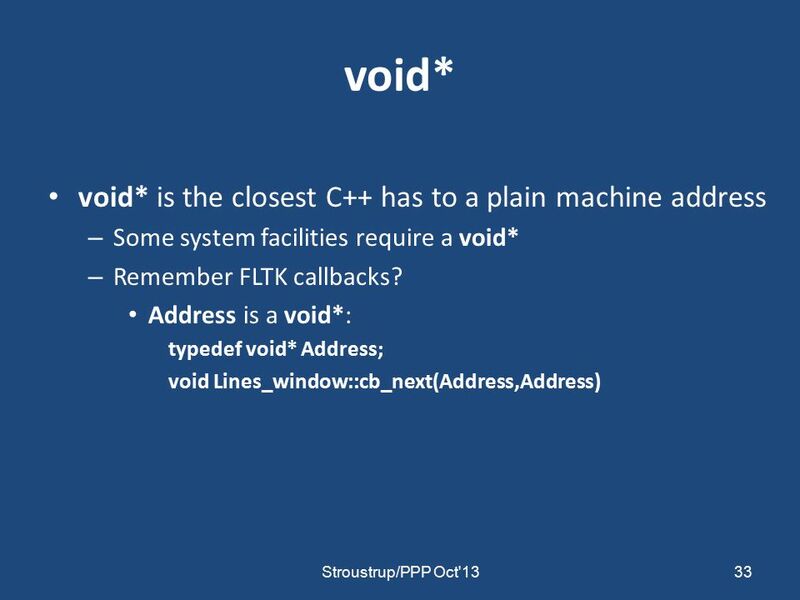 C++ Pointers Review. 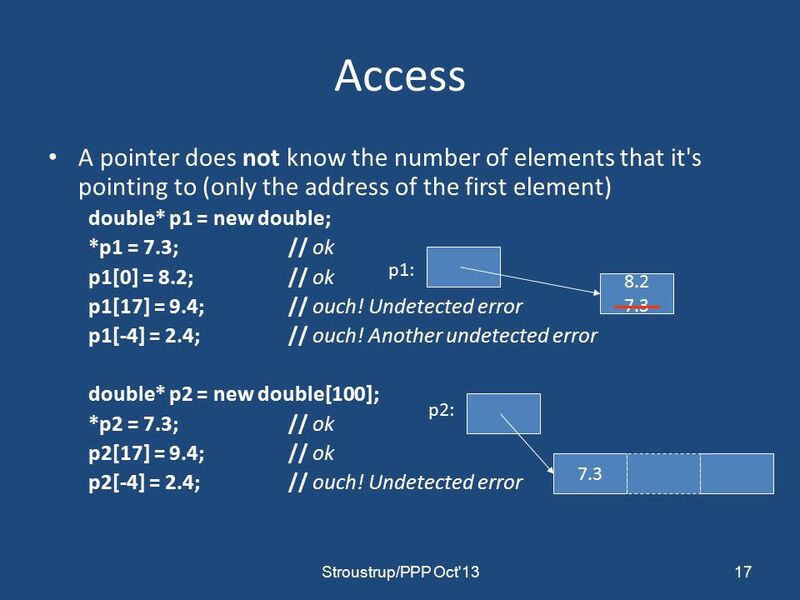 Overview  What is a pointer  Why do I care? 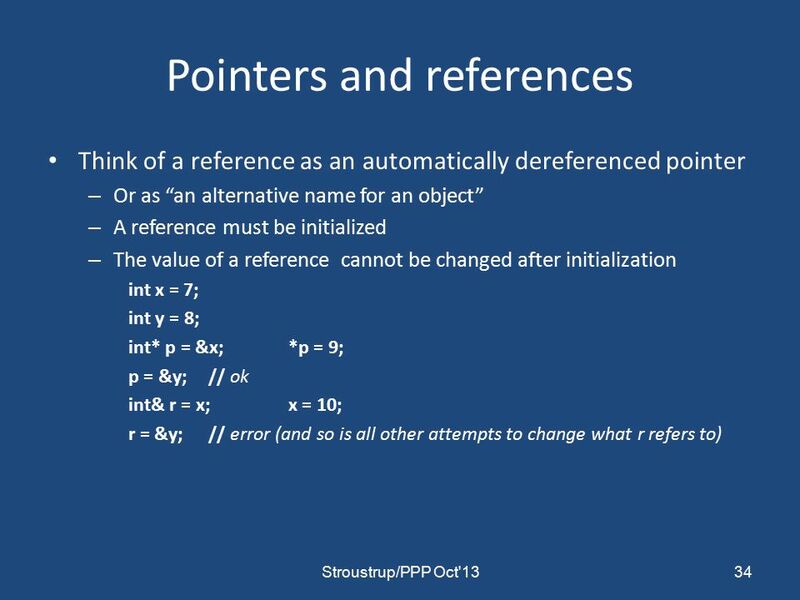  What can be 'pointed to'? 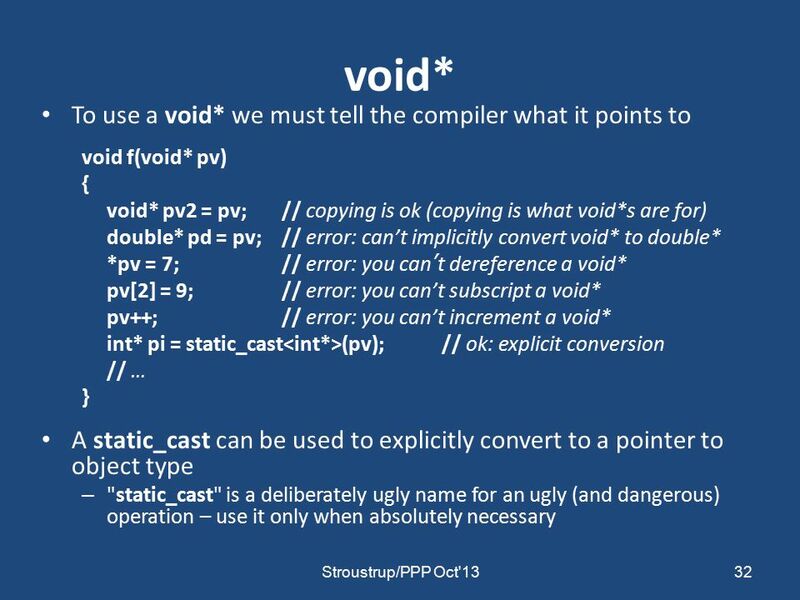  Example.